Art. 726 - cm. H 80 - HS 45 - L 68 - P 65. 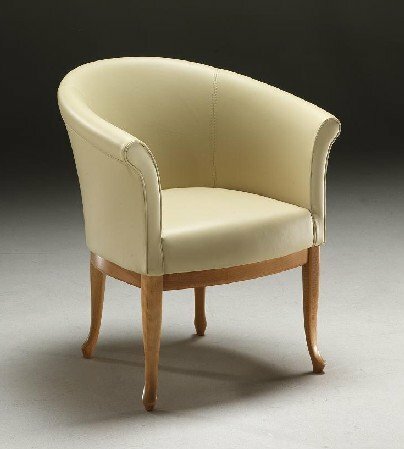 Armchair foamed polyurethane frame, wooden base col. natural ash or cherry wood, leather covering.